One of the highlights of PJ’s and my trip to Boston last week was our visit to the Museum of Fine Arts. Because of our upcoming trip to Italy, we especially wanted to see the museum’s special exhibit on Titian, Tintoretto, and Veronese, to get a head start on thinking about how to look at all the Italian art we’re going to be seeing in museums there. The three painters in this exhibit were rivals in Venice during the sixteenth century, and this exhibit compares their work, allowing the viewers to decide which is more to his or her taste. It’s a great exhibition. As I often do, I bought the exhibit catalog, which is a great discussion of the exhibit. One set of paintings the book compares is a group of portraits by these three masters. One of the things to notice about Titian’s work is his mastery of drapery and clothing. He also fills the canvas with images in the background. His subject seems more human; Tintoretto is especially good at skin tones and making skin seem realistic. His brush strokes tend to be more diffuse and rapid, giving the work more life and dynamism. To achieve this, he sacrifices detail, and much of his canvas is typically empty or unfinished. Veronese’s painting has more detail than Tintoretto’s; he also utilizes a lot of the same techniques to capture fabric and drapery that Titian, his mentor, used. The whole exhibit puts works like these together so that we can see how they respond to and try to one up each other’s works. After seeing the exhibition, I decided that I really prefer Tintoretto’s work to Veronese’s. I love the spirit and animation of Tintoretto’s work. Veronese’s paintings, in contrast, often leave me cold and unmoved. After seeing this exhibit we went back and looked at some of our other favorite paintings in the museum. It’s fun to return to works again and see how you respond to them over time and after repeated viewings. It’s called Woman and Flowers and was painted in 1868. I love the detail of this painting. I thought this painting was amazing when I first saw it two years ago; seeing it again was wonderful. It’s such an amazing work of art. 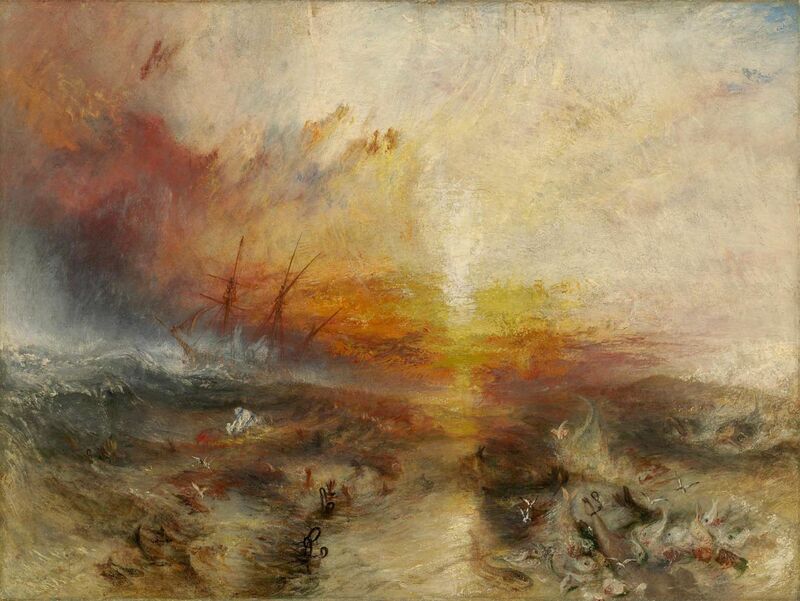 Turner is one of my favorite artists — right up there with Velazquez. I look forward to seeing it again the next time I’m in Boston. Alma-Tadema and Turner – incredibly different stylists, and yet, like you, I find the work of them both to be intensely, magnetically attractive: the luxuriant, meticulous detail of the one, the near-abstraction of the other.